A complete album from A to Zedd. Zedd's been popping up more and more often — his song, "Find You", was featured on the soundtrack to the hit movie "Divergent", and he won a Grammy Award in 2014 for his title track, "Clarity" — and possibly his most popular work to date is, in its entirety, this album. He has had some remixes and originals outside of this, but Clarity is where Zedd was able to show off as many of his production skills as possible. As I said in my review of the single version of Clarity, the original is top-notch and worthy of listens for many years. But will the rest of the album meet those same standards? The album starts off with Hourglass, which starts off calming like it's straight out of a bassinet. If you were looking for a speaker-tearing opener from an electronic artist, expect to be surprised, as this little dance-pop song could very well have fallen off the tracklist of any Disney child star with a recording contract (which, as far as I can tell, is every Disney child star ever). Vocals are by LIZ, or as Discogs.com calls her, LIZ (29), who is primarily known for both music and the art of wearing a wool cap when it's not even cold outside. Winter's over: let that blonde hair out! Though the production quality is rather high, this has never been a song that's stuck in my head. The end of this song trails itself flawlessly into the next, Shave It Up. And once that begins, get ready for a rollercoaster of gripping acid bass and the first of Zedd's powerful instrumentals. There isn't much to this song overall, but what's there is sure to make a dancefloor explode. Not literally, mind you. That would be quite the health hazard, what with the potential for seared flesh and all. ...aaa! The song is put together well with some funky phaser effects, but his vocals don't incite much interest from me here, so I generally just skip over this one, sadly. Luckily, the album's put back on track with Clarity, the title track. I already praised the single version in my other review, and since this is the same song (just a little longer), I have to shower even more praise upon it. The song itself is catchy, the instrumentals are warm and inviting, and Foxes' vocals are among the best I've heard in ages. This is truly a class act tune. Moving forward with a sharp bassline is Codec, named after what Windows Media Player used to always tell me I didn't have. This one can get particularly funky, as it never quite stays in one place for very long before throwing some different variation our way. It feels a little empty sometimes, but then a weird chopped chipmunk vocal comes in, and we all feel a little more at ease. Yep. Stache has a similar vibe as well, although it's a bit more repetitive and not quite as catchy. Fall Into The Sky, featuring the vocals of Ellie Goulding (who is arguably the most famous vocalist here), is a strange beast. The melodical focus is ascending notes with a scary squeaker of a synth, and it sounds like nothing else on the album. And I swear I hear a sample from 50 Cent in there later on. That's the "Go" from "Go Shorty, it's your birthday..." (If you thought he was saying "Go Charlotte", you're not alone — I thought so, too.) A pretty good listen overall, and a solid club filler. But it's Follow You Down that caught my attention moreso. With the nice lyrical stylings of the pink-haired Bright Lights, this one has a very pleasant melody that plays throughout and really hooked me on this one. It shows the softer, more trance-like side of Zedd while still being a real speaker pounder. Follow You Down could have been a great single, but alas, it was never meant to be. 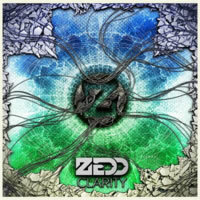 And to conclude the album, we have Epos, Zedd's finale and a journey into trance/electro territory. The melody is decent, though nothing spectacular, and the bassline Zedd throws in halfway through just feels wrong. Sounds more like midnight at the Burrito Hut. It's not his strongest track. Depending on which version you bought, there may even be additional songs! If you picked up the Deluxe Edition, you also got four new tunes, including Stay The Night with Hayley Williams from the band Paramore. Now this one's a real thumper! Zedd's at the top of his game with a fun wavering melody. The only downside is the lyrics for the chorus: how many times can you say "Are you going to stay the night?" You only need to ask once, Hayley. Next is a remix of Push Play by Miriam Bryant, a Swedish pop artist. All I can say is that Zedd sure loves grunty deep basslines, and he's not afraid to pull out those big guns here. The Deluxe Edition also features Alive (Zedd Remix), originally by Empire Of The Sun. They've slowly been gaining popularity, and Zedd's complextro, dubsteppishly squeaky remix might just help them gain even more exposure. The remix part really could have been another song entirely, and perhaps Empire Of The Sun's vocals were just thrown in for good measure! There's also Skrillex & The Doors' Breakin' A Sweat (Zedd Remix), which is also pretty pumpin'! That bassline... it's back once again. It's so difficult to describe that sound, but it actually seems more fitting in this remix in combination with the accompanying synths. Hmmm. If for some reason you bought this album at Target, you also get a couple of bonus acoustic versions of Spectrum and Clarity. They're nice if you like alternative rock adaptations of electronic music. And who doesn't? AND if you bought the Japanese version, you're in for quite a treat! You get Spectrum (livetune Remix) that not only features Matthew Koma but also international vocaloid superstar Hatsune Miku, famous for "her" popular music and associated video game series. Just imagine the song being sung by a vocoded 16-year-old female robot. Imagine GLaDOS doing electronic music for a living. The instrumentals have been completely revamped, but they are even more poppy and still work pretty well. It's not only a strange curiosity, but it's an enjoyable song to hear. The Japanese release also features the acoustic version of Spectrum, as well as Clarity (Zedd Union Mix), which is perhaps the one mix I didn't mention in the Clarity single + remixes version review. This one is far more symphonic and relaxed, alongside different and even more beautiful vocals by Foxes. Zedd's debut album wavers in quality here and there, but it's still a solid effort and a good trip for the ears. I'm looking forward to seeing where the next phase in his musical career takes him.